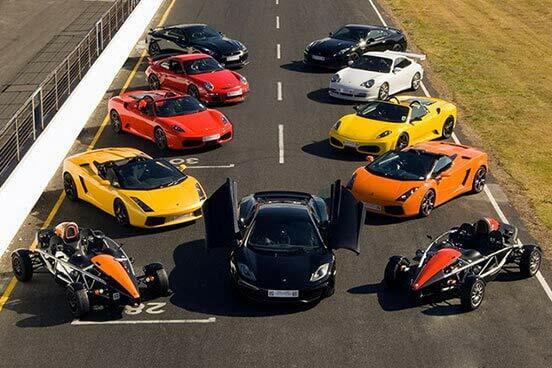 Which of these amazing supercars will you choose to drive for three or four thrilling laps? 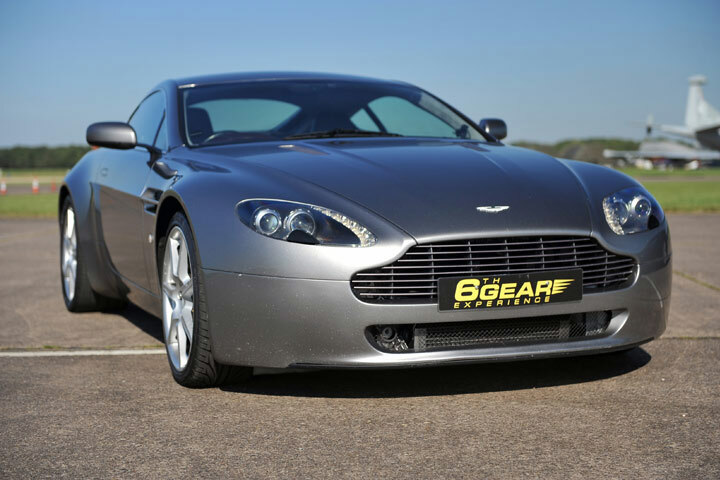 Aston Martin DB9 or V8 Vantage - The modern day Aston Martin still lives up to the benchmark of quality and luxury set nearly a hundred years ago. The V8 Vantage and the DB9 are both prime examples of their commitment to the three important elements of an Aston Martin: power, beauty and soul. a power that has been harnessed to give you the ultimate in driving thrills. experience the true meaning of speed. 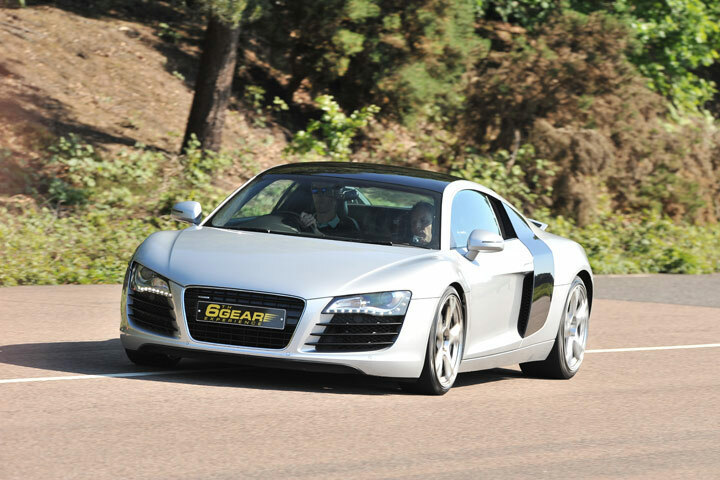 Audi R8 - With a 4.2 litre V8 engine, and a top speed of 187mph, the Audi R8 was built to take your breath away! Audi’s leading designers have pushed the boundaries of racing technology, futuristic construction and luxury refinement to deliver a genuine masterpiece. Aston Martin, the world-class British supercar brand, arguably make some of the best-looking and most desirable supercars around. The V8 Vantage and DB9 are no exception with gorgeous styling, luxurious interiors and a glorious noise from the V8 or V12 engines. The Aston Martin really is a dream car, created to embody three essential characteristics of any supercar; power, beauty and soul. Your experience will begin with a welcome, introduction and safety briefing on circuit driving techniques. Depending on the venue, you may receive familiarisation laps before taking to the wheel yourself for three to four laps/miles in either a V8 Vantage or DB9. Please note, the exact model of car varies by location. On completion of your experience you will be awarded an individual driving certificate. Please note, there will be a £35 supplement fee if you choose to visit the Dunsfold venue. This experience runs on selected midweek dates, typically March to October. Some venues are open all year, please check on booking. You will be at the venue for 1 to 2 hours, with approximately 3 to 4 laps at the wheel. The minimum age is 17 to 18 years old depending on location. The minimum height is 1.52m (5ft), the maximum height is 1.93m (6ft 4") and the maximum weight is 114kg (18st) to 120kg (19st), depending on location. You will need to speak fluent English in order to understand the instructor. You will need a full manual UK or European driving licence. With a 4.2 litre V8 engine and a top speed of 187mph, the Audi R8 was built to take your breath away! Audi’s leading designers have pushed the boundaries of racing technology, futuristic construction and luxury refinement to deliver a genuine masterpiece. Your day will begin with a welcome, introduction and safety briefing on circuit driving techniques. Depending on the venue, you may receive familiarisation laps before taking to the wheel yourself for 3 to 4 laps/miles in an Audi R8. On completion of your experience you will be awarded an individual driving certificate. Please note, there will be a £35 supplement fee if you choose to visit Dunsfold. This experience is available on selected midweek dates, typically March to October. Some venues are open all year, please check on booking. You will be at the venue for 1 to 2 hours, with approximately 3 to 4 laps behind the wheel. Min height 1.52m (5ft), max height 1.95m (6ft 4"), max weight 114kg (18st) to 120kg (19st) depending on location. You will need to speak fluent English in order to understand the instructor. 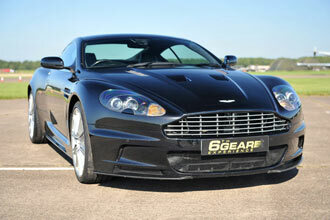 This is your chance to get behind the wheel of one of the most famous sports cars in the world. As you settle into the driver’s seat and look into the rear view mirror at the engine you will know that at this particular moment in your life you’re experiencing something very special. If you tap the throttle you can hear the roar from the Italian V8 and feel it rumble under the power. Your experience will start with an introduction and safety briefing in which you will learn about circuit driving techniques, including how to take the fastest and safest lines. 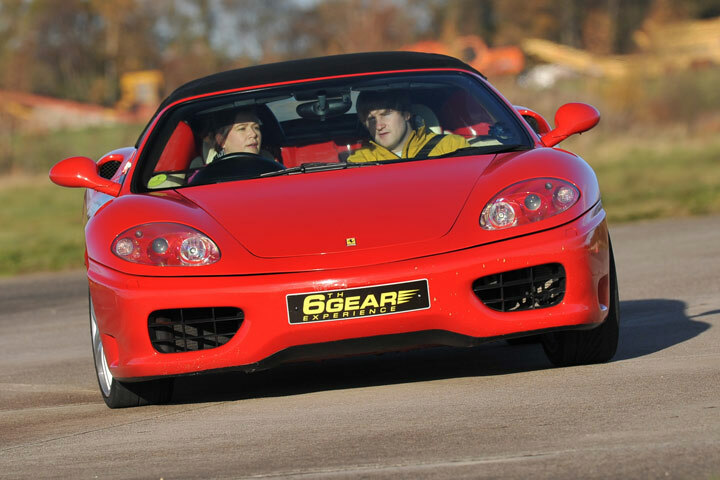 Depending on the venue, you may receive familiarisation laps before taking to the wheel yourself for typically three to four laps in either the 355, 360 or 430, depending on the venue. On completion, you will be awarded an individual driving certificate. Minimum height is 1.52m (5ft), maximum height is 1.93m (6ft 4") and the maximum weight is 114kg (18st) to 120kg (19st), depending on location. You will need to speak fluent English in order to understand the instructor. Lamborghini have always made totally outrageous supercars that are normally reserved for pop stars or Premiership footballers, but this is your chance to drive one! The Lamborghini is perhaps the most exclusive of Italian supercars and they are extremely fast. Slip into the leather seat, engage the first of six gears and start to work the engine that sings as sweetly as any opera diva. 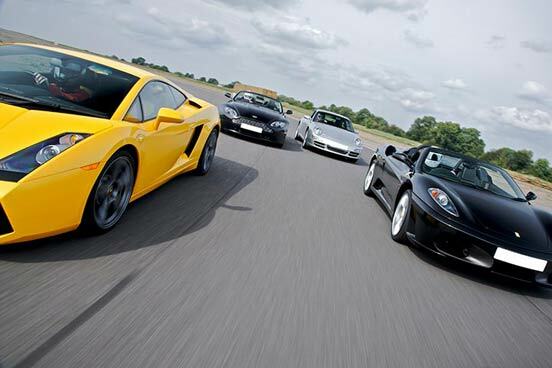 With an expert instructor by your side you will be able to enjoy unrivalled performance and handling. 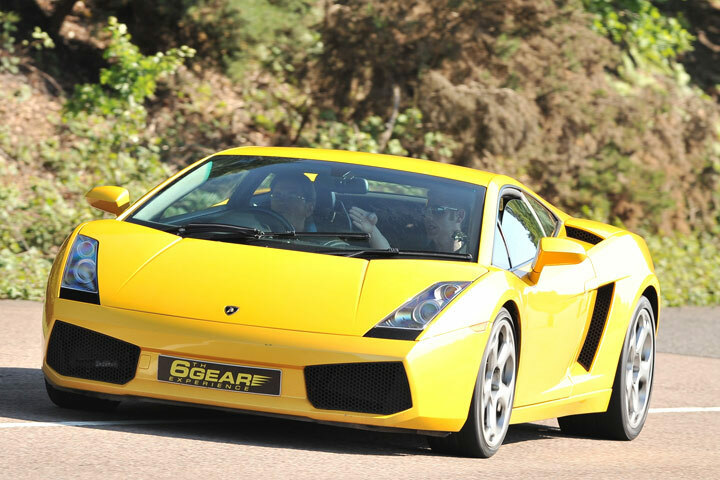 You will be able to drive either the Lamborghini Gallardo or Murcielago depending on your chosen location. With an expert instructor by your side you will experience the unrivalled handling and performance that are characteristic of a Lamborghini. Your day will begin with a welcome, introduction and safety briefing on circuit driving techniques. Depending on the venue, you may receive familiarisation laps before taking the wheel yourself for 3 to 4 laps. On completion of your experience you will be awarded an individual driving certificate. This experience is available on selected midweek dates, typically from March to November. Some venues are open all year, please check on booking. You will be at the venue for 1 to 2 hours, with 3 to 4 laps behind the wheel. The minimum height is 1.52m (5ft), maximum height is 1.93m (6ft 4") and the maximum weight 114kg (18st) to 120kg (19st) depending on location. You will need to speak fluent English in order to understand the instructor.